Beyond national security issues, beyond the value of having a positive national goal, beyond job creation and attracting technological investments; benefits of the space program include the development of so many products we use daily--and too often and take for granted. 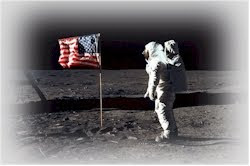 Space is an investment in our future, and the investments we made in going to the Moon helped establish the USA as the technological leader in the world. A bold and reinvigorated space program can again bring us great advances in technology/clean energy/environmental sciences, well-paid jobs as well as to keep tech investments from fleeing the USA to those countries who are eager to seize our lead. Here are some spinoffs which NASA considered most important in 2000.